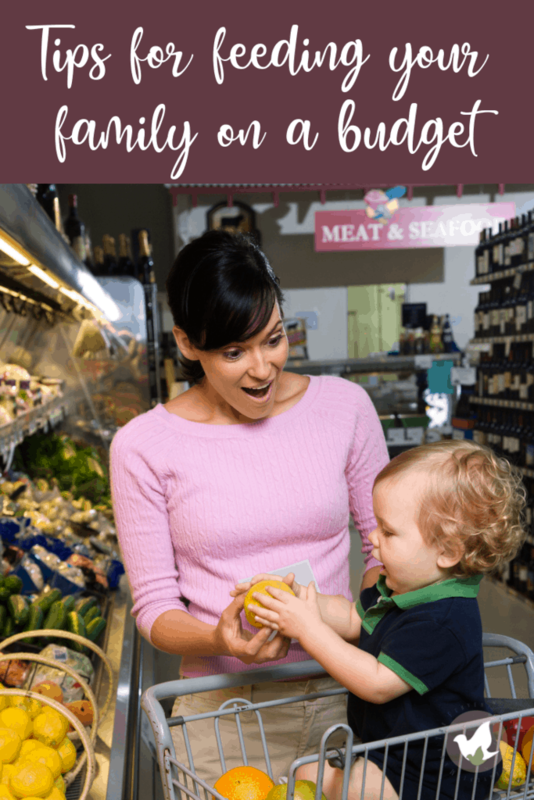 With these clever solutions to feeding your family on a budget, I’ve been able to hone in on my family’s needs and now spend a maximum of $550 per month on groceries/necessities/cleaning supplies for my family of five. 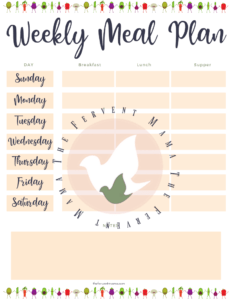 I do all of the shopping, we very rarely eat out, I home cook almost all of our meals, and I don’t dread any bit of it because I’ve created a success plan that fits our needs. The best part is that I don’t use coupons, I don’t meal plan, I don’t hover the sales, and I don’t create unnecessary work in order to save more. In fact, I can’t remember the last time that I used a coupon on groceries. These days, I can’t even remember to use cash back apps like Ibotta, Checkout 51, or even Walmart Savings Catcher. Although, last time I checked, I had over 40$ in Savings Catcher! I don’t really have a favorite grocery store, because I go to one place for groceries and another local store for meat. But right now, Walmart is the best fit for my family because they offer grocery pickup, savings catcher, and they match prices! I don’t budget for groceries. I used to, but I would always fall short to sticking to it or even just remembering it in general. And then when you’re grocery shopping with kids, there’s no telling what you’re total is gonna be when you get to the register. So instead of killing myself sticking to a budget, worrying about coupons, and meal planning, I’ve put into place practices that save me time, money, and headache! My years of trying to save every penny by nearly any means necessary taught me so much! I should give some sort of disclaimer here. These practices may not work for everyone. I am no guru. Cost of living is different per area and changes often, cost of goods change, and family needs change. Do what you think is best for your family. I put in all the tips that I use, as well as those that I have gathered from others. Furthermore, I can’t say how much you’ll save by using these tips, but I can guarantee that following any/all of these tips for feeding your family on a budget will transform the way that you approach homemaking and save you some dollars. The best way to ensure that you’re not wasting money when it comes to groceries is to think ahead. Meal planning is nice, but that’s not the only way to think ahead. No matter what planning method you decide on, making as fewer trips to the store as possible is the best way to guarantee that you don’t spend unnecessary money. If you choose to meal plan, try to plan your meals around your local grocer’s sales. But be sure that you have a list of things needed for each meal when you head out to the store. If you choose not to meal plan, make a list of your favorite meals. That way, when you’re looking in your cabinets trying to decide what to cook, you have lots of ideas to bounce around. With this “method” I still recommend shopping the sales as much as possible and then crafting your meals around them as you please. Remember that feeding your family on a budget will not always be a stressful thing. When you take the time to put these practices into action, you’ll get a better understanding of your family’s needs and things will get easier. If you ever feel as though you’re eating a lot of the same things, or you’re running out of ideas, try using one of those apps that you add in all of the items in your pantry and they give you meals based off that! AllRecipes and Epicurious are good ones! 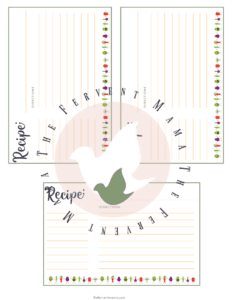 If you keep all of your favorite recipes written down on recipe cards, it will be easy to coordinate your shopping with sales and your ingredient list. Get the Grocery Shopping Printable Bundle HERE! 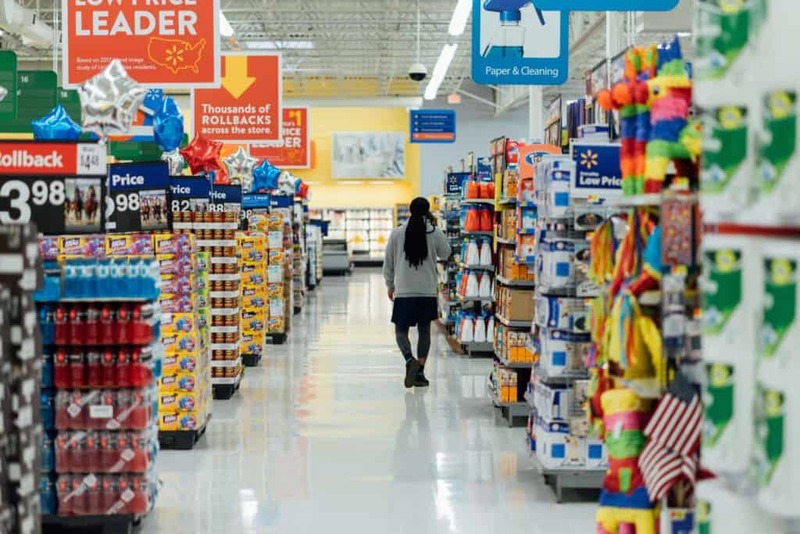 It can be hard to shop around with littles in tow, don’t forget about Walmart’s Savings Catcher. They scan your area and if they find a lower price they give it to you! If you know that you aren’t very good at sticking to your “rules” while grocery shopping, then try a grocery service like Walmart Grocery Pickup. You are in more control of what you purchase because adding things to your cart is intentional. You also don’t have the urge to add “extra” things to your cart in a spur of the moment. I’ve also found that Amazon Subscribe and Save is great for essential items. After doing the math, I’ve found that most of their items are either the same price or cheaper than what I can get locally. Amazon often gives out coupons or discounts on certain items. Plus, you can get up to 15% off when you have enough items in your scheduled deliveries. It’s like forget it and go. You can change it at any time with no extra cost, you can speed up or delay a shipment, you can even return most items that Amazon fulfills. We eat leftovers often and for lunches when it’s just me and the kiddos we usually do simple meals like a variety of sandwiches, party-like trays, pizzas, and things like that. Scrounge around, you’ll find something! There are always ways to save on your allocated food budget. But first, you need to analyze where the majority of your money is going. What is your family’s idea of groceries? Snacks are snacks, not meals. Don’t overconsume. Take advantage of your local fruit and veggie stands and markets. Most of the time they will be cheaper than what you can buy at the store. Plus, they’re a lot better for you. Cooking your meals, rather than buying prepared meals, is the way to go. Don’t think that you don’t have time to cook- that’s what Slow Cookers and Pressure Cookers are for. I make one big grocery haul every month. Other than that, I don’t go to the store unless we need necessities like milk, bread, or fresh fruits and veggies. This helps me to limit the amount of money I spend in the store because I’m not going often. Personally, I put in place a few extra systems that allow me to better keep control over our grocery expenditures. We’re from the south and we eat a lot of homestyle meals. Hearty Man Meals is what I like to call them. Full meals; meat, a starch, a veggie, and anything else we choose to add. 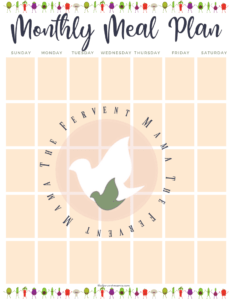 We don’t do Meatless Mondays here and we do a lot of stews, beans, and family friendly meals that are nearly foolproof. My pressure cookers (I have two) get GOOD use every week. Check out my Family-Friendly Pressure Cooker Recipes here! Remember, making change requires the mindset that you are doing it for a purpose that is going to affect your life for the better in it for the long run. It’s not just a one-time thing. But that’s not it! I didn’t want to bore you by going on and on. Maybe leave you in a little anticipation on what’s to come next? 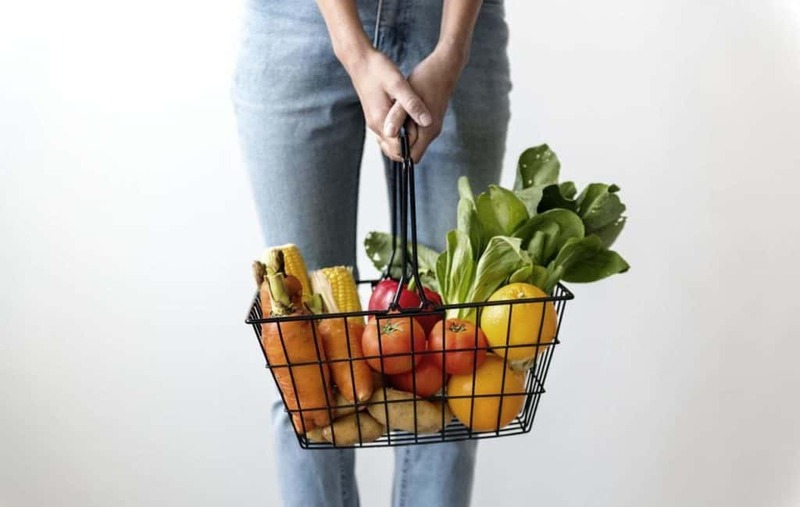 Read more about transforming your grocery shopping and feeding your family on a budget by reading our second post: Solutions to Feeding Your Family on a Budget Part Two. Part two covers ways to save on Baby Necessities, Cleaning Supplies, and even a few Extra Tips that you’ll love! What are some things that you put into place to ensure that you stick to a tight budget? 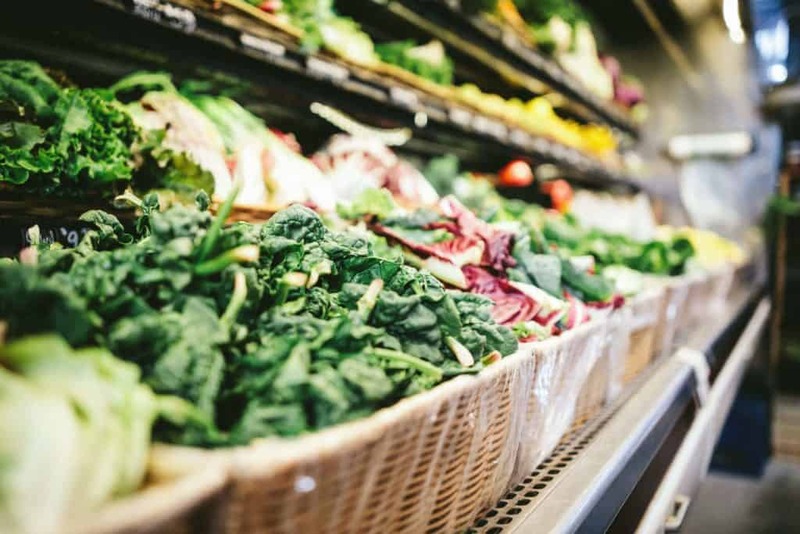 What do you plan on changing in your grocery spending?